Kluckingbear: I Made This and Won These! I Made This and Won These! My Chipmunk Cheeks Kaely is modeling it for me this morning. She's still home recovering from impacted wisdom teeth extraction. 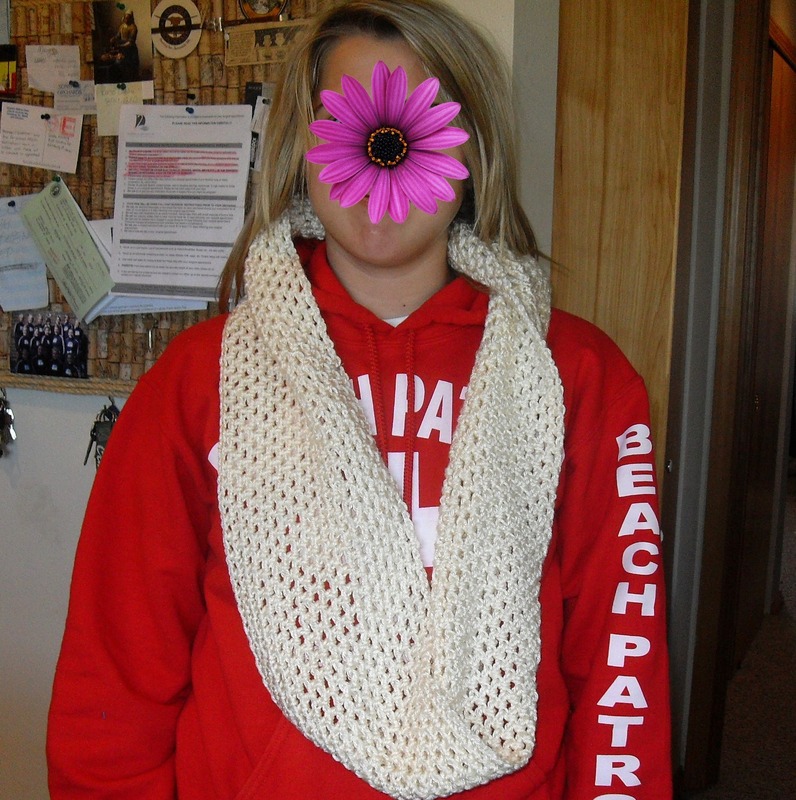 She didn't want her face shown because she sans make-up, but I think she looks pretty! Here's the cowl unwrapped. This pattern is sooooo easy to follow!! It's a net pattern using a half-double crochet stitch and it goes by so fast. The hardest part is chaining 154 chains (really)! I intend to make many more. My daughters each expect one in every color. In the original pattern Che uses Lion Brand Fishermans Wool, but I used Red Heart Soft that I had on hand. I also ended up using a J hook instead of a G to get my 154 chain to measure 60". Having completed the cowl, I would recommend using whatever hook you need to get that 60"...it's just the right length for comfy wrapping around. I can't wait to try the matching fingerless gloves too from the Martha Cowl 2.0 using double crochet for an even FASTER cowl! 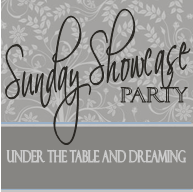 I have won a bunch of stuff this week too~it's truly amazing. I never win, but lately I've been on a winning comments streak. 5 minutes on the couch and it turned into a lovely little bracelet for chipmunk cheeks. The wire is knottable without tools, so I didn't even need to grab my pliers. 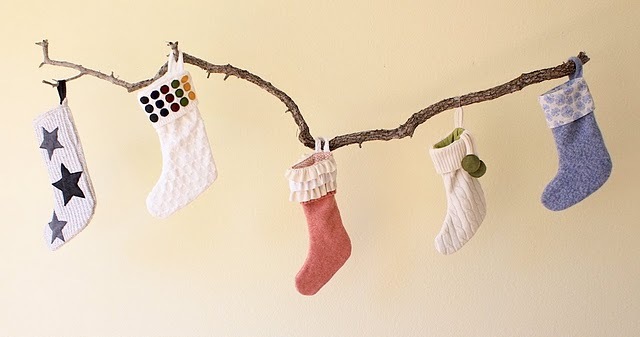 A Made Sweater Stocking Pattern from a Me Making Do giveaway.You can purchase a pattern for these from her shop for only $6 Total WOWS and THANKS to all the giveaways I won! Just a quick note to let you know that we appreciate your mention of our beads. 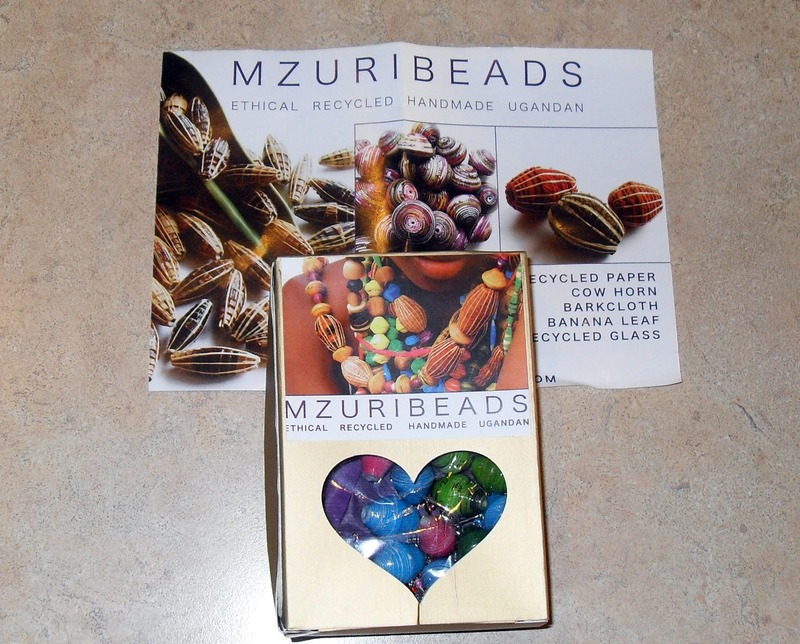 Everyone here at Mzuribeads Uganda is pleased to see you wearing our recycled paper beads!.